Recently, we had the privilege of sitting down to dinner with Spanish Chef and multiple Michelin Star-winner Sergi Arola, who just opened a new restaurant at the W Verbier in Switzerland. Well, we weren't seated the whole time — he taught us how to cook gambas al ajillo. Before and after dinner, we shot the breeze with the charismatic Catalan chef, to swap stories, talk about life, his tattoos (he was getting a new one the following morning, chosen in a vote by the public), and the things he loves. As you'll notice, he has as good of taste in his essentials as he has in food. When you tell someone to picture a motorcycle, this is what they picture. Arola: I’ve ridden motorbikes since I was 16. I don’t like cars. And obviously I started with a BMW, then Triumph, then I finished with a Harley Davidson. It’s my holidays, it’s my [relaxation], it’s my everything. I like old style, so I have a Bobber. Like an old one, but it’s new and customized for me. When you listen to beautiful songs from the Byrds or Creedence Clearwater Revival or any of these bands that I love, and you imagine riding a Harley Davidson, it’s like going on a camel across the desert [?]. But I don’t listen to music as I ride. The sound of the engine is beautiful enough. It's one thing to have this watch and a whole different ballgame to have an enormous tattoo of it's movement on your forearm. Arola - When I won the second [Michelin] star in 2000, my partner gave me this watch. For me, one of my favorite watches ever, a Jaeger-LeCoultre Reverso. Very classic. Then after ten years, I had no money to celebrate the tenth anniversary so I decided to make a tattoo with the mechanism. It's much cooler than a watch, because I can wear two. Sergi is a big musician, and his axe of choice is the same tool as the legendary Byrd, Roger McGuinn. Arola - I went to Union Square yesterday to the Guitar Center to buy a nice Martin. Not the cheap cheap, not the super expensive. I have a beautiful collection of 17 guitars — Rickenbackers, Gibsons, a Gretch. 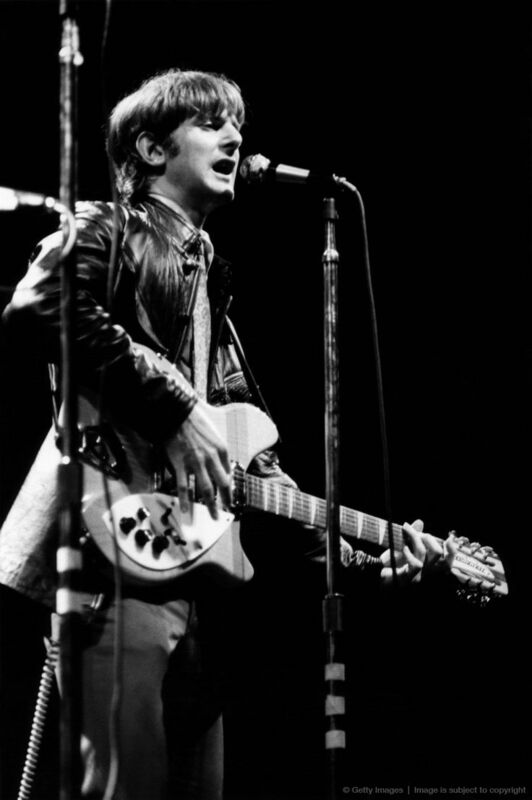 If I could have one guitar, absolutely it would be a Rickenbacker. My favorite band is the Byrds, so it’s very normal. Spoken like a true European. Arola - I like women so much; I have no more vices. When I was young my best friends and I were Deadheads and we had very nice trips together, but I stopped in 1997 when I opened my first restaurant because I think when you are a business man like I am, you have responsibilities, so I stopped going out. I drink a beer daily, and of course, I never could recognize wine as a vice! The wine is culture. All of the drinks, in general, are culture — part of the food, a part of life. If I have to choose one wine, I would choose a very old, good Burgundy. Ethan Wolff-Mann is Supercompressor's Gear editor and a one-time sous chef for Sergi Arola. Follow him on Twitter @ewolffmann.